Ukraine’s interim government has decided to raise gas prices for domestic consumers by 50% in an effort to secure an International Monetary Fund (IMF) aid package. An official at Ukraine’s Naftogaz state energy company said the price rise would take effect on May 1st, and further rises would be scheduled until 2018. 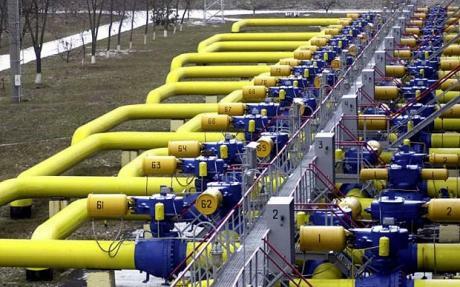 Ukrainians are accustomed to buying gas at heavily subsidized rates. Ukraine currently buys more than half of its natural gas from Russia’s Gazprom, and then sells it on to consumers at below market prices. Yury Kolbushkin, budget and planning director at Naftogaz, told reporters that gas prices for district heating companies would also rise by 40% from July 1st. IMF negotiators are still in Kiev to negotiate a package of measures worth billions of dollars to help Ukraine’s interim government plug its budget deficit and meet foreign loan repayments. On Tuesday, Ukraine’s finance minister Oleksandr Shlapak said the country was seeking $15-20 billion from the IMF. The Financial Times has reported that a rescue package worth about $15 billion is close to being agreed, and could be announced as early as Thursday. Financial help is urgently required as Ukraine has been forced to plunder its foreign currency reserves, and the economy is expected to contract by 3% this year, according to the country’s finance ministry. In the US, arguments in Congress over reforms to the IMF have held up plans to offer Ukraine $1 billion in loan guarantees. The EU says its financial support, potentially worth 1.6 billion euros is contingent on the IMF deal being agreed.